Take a visual journey on the Great Divide Trail! Browse our albums that provide teasers of the beauty of the trail, stop to smell the roses and observe tracks, plants and wildlife found along the trail and prepare yourself to be a trail volunteer by looking at photos from our past trips. Special thanks to Erin Saver, Elizabeth Morton, Millie Kuyer, Zdenek Sychrava, Li Brannfors, Marie-Helene Bilodeau, Cliona Curran, Jean-Francois Cianci, Evan Dux, Bill Peddlesden and Jocelyn Wood for sharing their amazing photos! 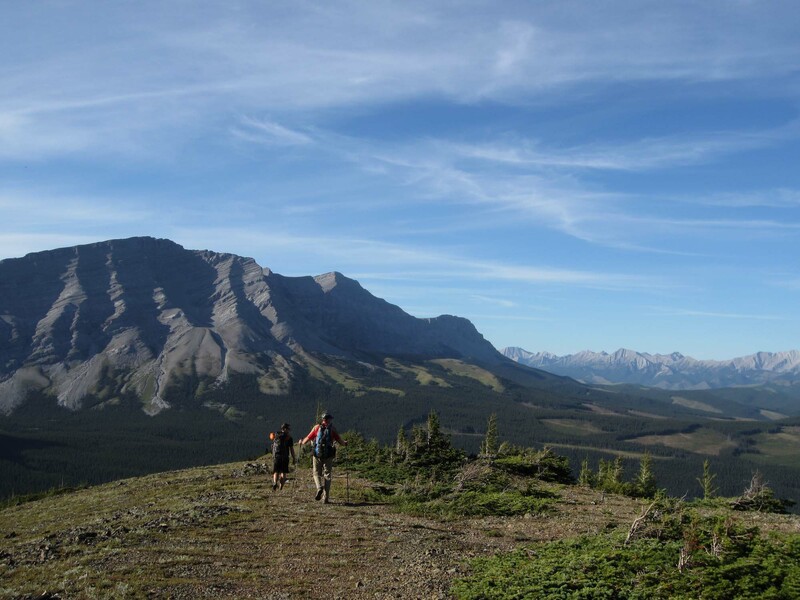 From Waterton to Kakwa the variety of landscapes and the epic mountainous views are breath taking along the Great Divide Trail. Flora and fauna found in the wilderness of the Great Divide. Annual trail maintenance trips shape the future of the Great Divide Trail and are full of rewarding work in beautiful places with dedicated volunteers.